The two concerts listed below are the final ones of our 2018-2019 season. 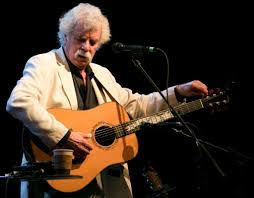 Tickets for the Tom Rush show are selling briskly, so it is likely they will sellout. Tickets for all shows are available at the church office, 508-384-3110, or at www.musicatocc.org. Tom is a gifted musician and performer, whose shows offer a musical celebration and journey into the tradition and spectrum of what music has been, can be, and will become. His distinctive guitar style, wry humor and warm, expressive voice have made him both a legend and a lure to audiences around the world. His shows are filled with the rib-aching laughter of terrific story-telling, the sweet melancholy of ballads and the passion of gritty blues. Rush's impact on the American music scene has been profound. He helped shape the folk revival in the '60s and the renaissance of the '80s and '90s, his music having left its stamp on generations of artists. James Taylor told Rolling Stone, "Tom was not only one of my early heroes, but also one of my main influences." Country music star Garth Brooks has credited Rush with being one of his top five musical influences. Matt Nakoa,Tom's keyboard player and vocalist, now tours internationally, recently performing at The White House, throughout India, and regularly with folk music icon Tom Rush. Matt's piano music has received favorable reviews in publications including The New York Times, and his film scoring has been featured by Disney. Tickets are $45, in the church sanctuary.